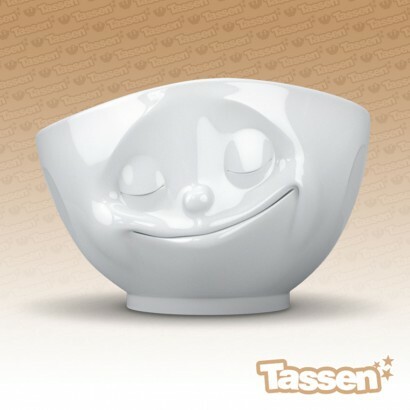 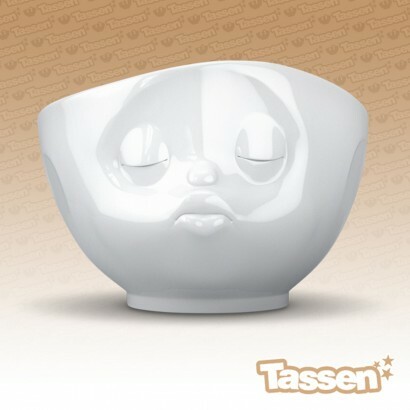 Tell it how it is when you set the table with these adorable Tassen emotion breakfast bowls! 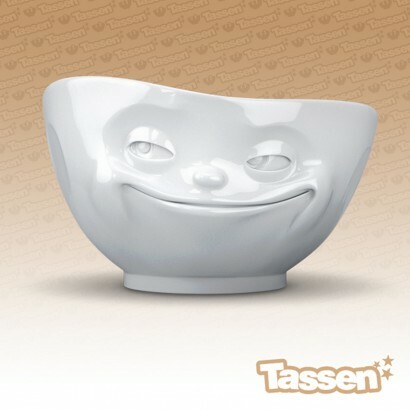 Available in four designs; grinning, happy, kissing and sulking in the standard 500ml size and out of control in a whopping 2600ml size, these fun bowls are all you need to brighten up your meal times with an expression for everyone in the family! 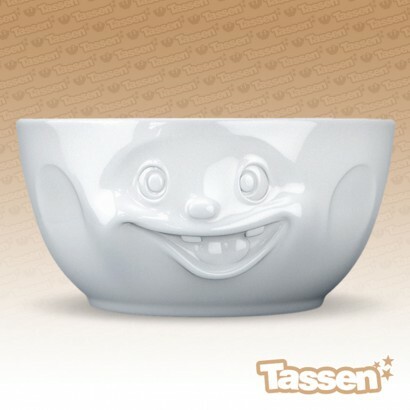 Made from durable polished white porcelain, these contemporary bowls are hardy enough to survive family life bringing their own distinct personalities to your table for a comical dining experience!